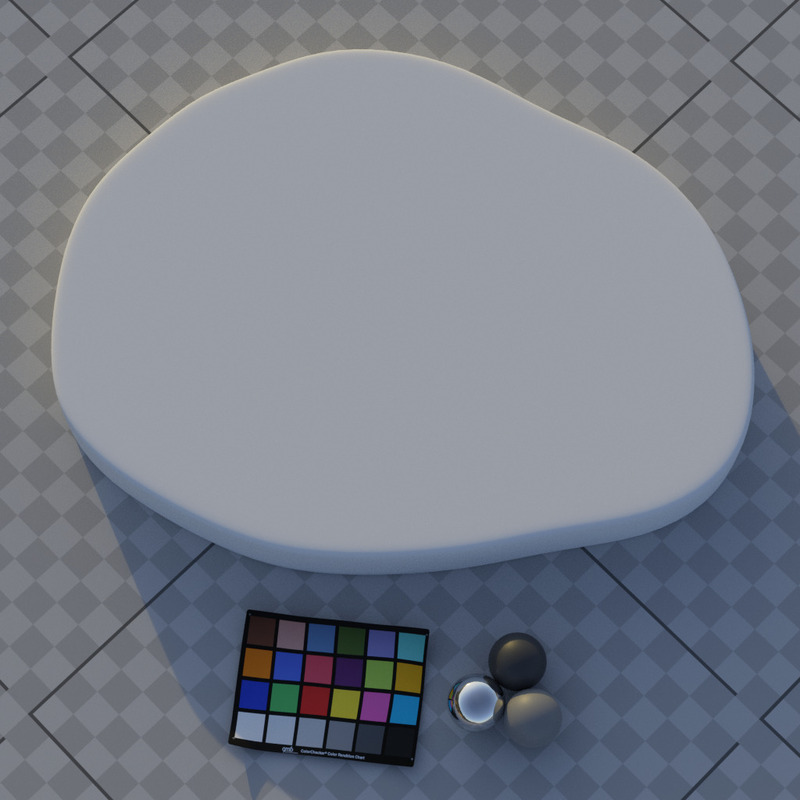 New baseline for RenderMan 22(.3) + Katana users. Feel free to use (or not use) this scene. Realized that txmake doesn't actually account for gamma curves, so had to adjust the floor/macbeth chart by linearizing the node itself. For a baseline scene, I think it works. Hello shadersxyz ! want to share my latest WIP of this challenge, I will edit this post later and put in more breakdown asap ! So far, I have a problem in getting the stretching of the noises since it seems like when I plug the mask that I have to drive the freq/scale of the noises seems like there is stretching in and out in the z axis, I tried to put in Pref / create texture reference but that didn't seem to fix it , any ideas ? thanks ! tandia Hey dude, if you want send me your scene that I can have a look at this issue for you. I'll send you my email on WhatsApp and if I find the solution I post it here. Looks like the 3D noise shaders usually don't behave super predictably when using a 2d projection to control its frequency, specially circular 2D shapes (using a linear ramp is more 'stable'). I started to investigate first the Z axis that visually is the one that is being distorted on your renders, but I found that it wasn't the direct cause of the problem. The issue was coming from the axis that is apparently don't affect that much this top surface, which is the Y axis. So, after some testing I found out that the hack is: multiplying the Y axis scale value (eg. in the case of the aiNoise) for a number at least more than 10x the value of the others. This may not clear absolutely all the distortion, but for sure decreases it a lot. I can't setup this scene in 3dx max. Camera is ok, files and textures ok, but HDRI coordinates doesn't work. I am using Cinema 4d with Arnold and when I merge the file into a new scene, the camera is zoomed in a bit more than the example above. To create this airy effect we used a multi-step approach. The bread interior was a volumetric hypertexture (Perlin and Hoffert, 1989) defined using a procedural density function. The density function was made up of several layers of procedural voronoi noise. In addition, the important features -such as the position of the crust and position of the torn off face- were encoded in point clouds, which the shader used to modify the density function. The entire density function was also deformed using a texture map. The texture map was applied to the density field using a planar projection. Before evaluating the density function, the x and y positions of the current point were replaced by the value obtained from the texture map. This allowed us to compress air bubbles which were closer to the crust, then give a slight twist to the pattern of air bubbles, as often seen in real bread. Similar to @nbernardi027's issue with the camera above, has anyone been able to remedy this in Katana? Square resolutions yield the same results (or worse) as standard 16:9 HD, regardless of the AdjustScreenWindow parameter. The exception being square with Adjust height to match resolution, in which the camera appears much more zoomed out, but is better than the cropped top/bottom seen from the other options. First time participating, excited to get going on this. 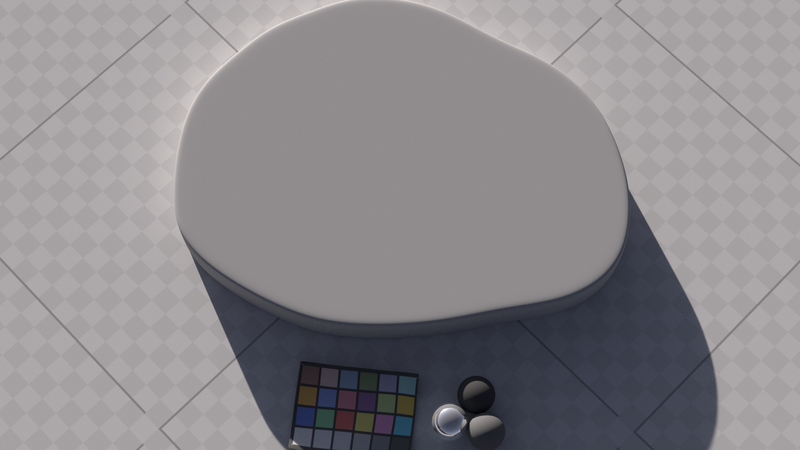 Here is a quick render of the lighting I have setup so far. The axis provided for the HDRI map didn't match up for me so I had to tweak it a bit to match up with the reference. I feel its pretty close. @tuckercool Welcome to the challenge, I'm curious to see what you'll come up with!